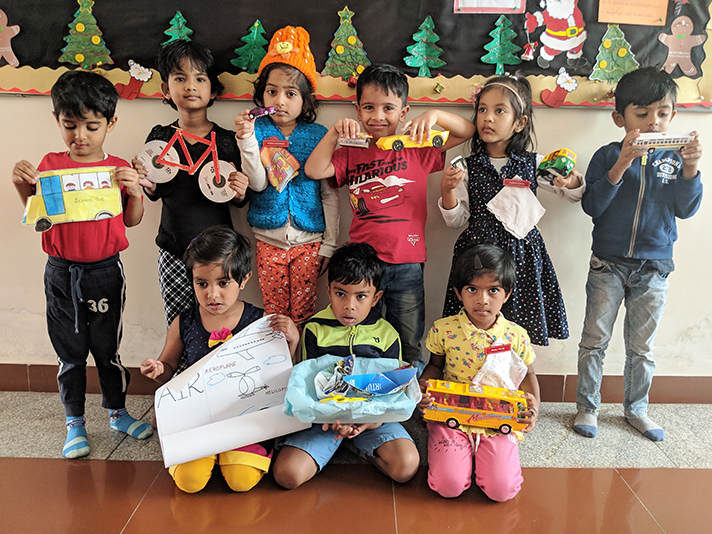 The Show and Tell event on the theme ‘Transport’ was held on Monday, 17 December 2018, for the children of Montessori at GMC, HSR. It was interesting to have all the three groups of Montessori students participating this time in Show and Tell. 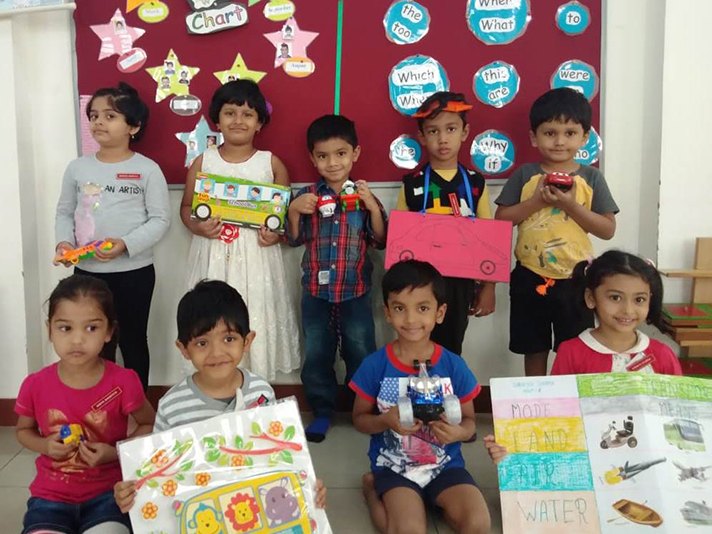 The effort by the parents of Beginners, Juniors and Seniors was evident with the children bringing in models, charts and cut outs of a multiplicity of vehicles. Children spoke with confidence about the different means of transport like trailers, helicopters, trains, bicycles, horse carriages, autos, metro, ambulance, ship to name a few. 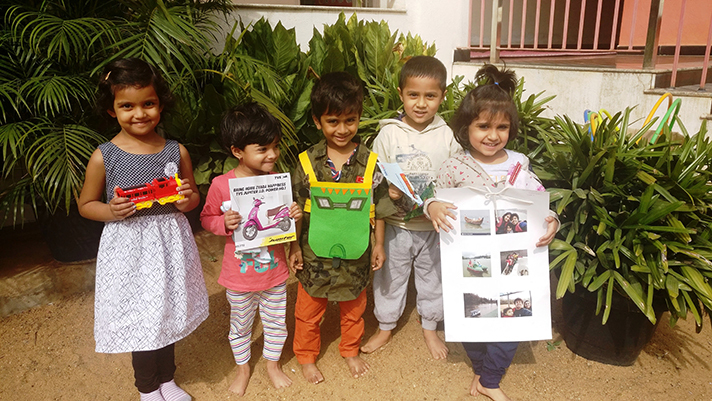 Some children sang songs / rhymes and also narrated their travel by air, water and road. ‘Red, yellow and green, follow wherever seen!’ was an extension to the theme depicted by some children. They spoke about transportation, passengers, carriers, haulers, submarine, ferry, pollution, fighter jets etc. 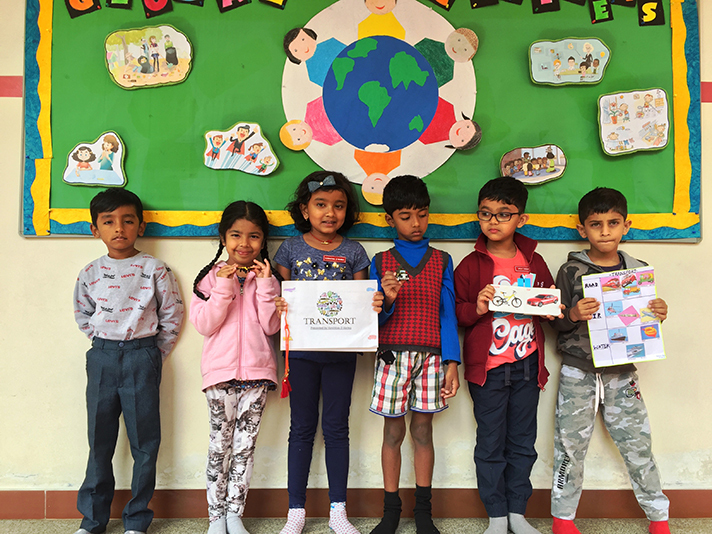 The importance of using electric vehicles, cycling, carpooling as some ways to save our environment from pollution were also part of their talk. The event was informative and fun-filled.